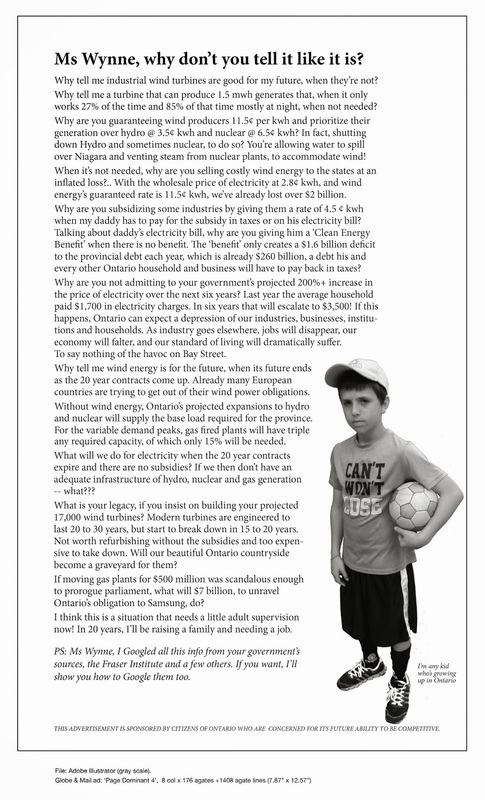 Wind turbine issue should be priority | Mothers Against Wind Turbines Inc. I attended a recent meeting in Linden concerning wind turbines and the current county ordinance. I came away saddened by all the conflict over this issue among neighbors and even within families over this issue. I have always been opposed to county-wide zoning, but wind turbines seem a much worse threat to the county than zoning, since zoning only represents a raid upon our wallets, while wind turbines represent a danger to the health and safety of our neighbors and their children. I was shocked to learn that our local ordinance allows children to play closer to the turbines than the operating companies allow their employees, except in cases of necessity. I was saddened to hear allegations that some of our elected officials may have a monetary interest in wind turbines. The county ordinance requires setbacks from the foundations of homes, rather than property lines. This seems to preclude anyone from building a dwelling on land between a current dwelling and the owner’s property line, which appears to be an unconstitutional taking of land without compensation. The contracts with wind turbine builders have an allowance for $15,000 for decommissioning each turbine. This is not enough money to even get a crane to begin to take down one of these towers. To add insult to injury, wind turbines are heavily subsidized by the federal government, because they are not and never will be economical to operate. Finally, it is an insult to the people that our county commissioners have yet to put wind turbines on the agenda for a commissioners’ meeting.